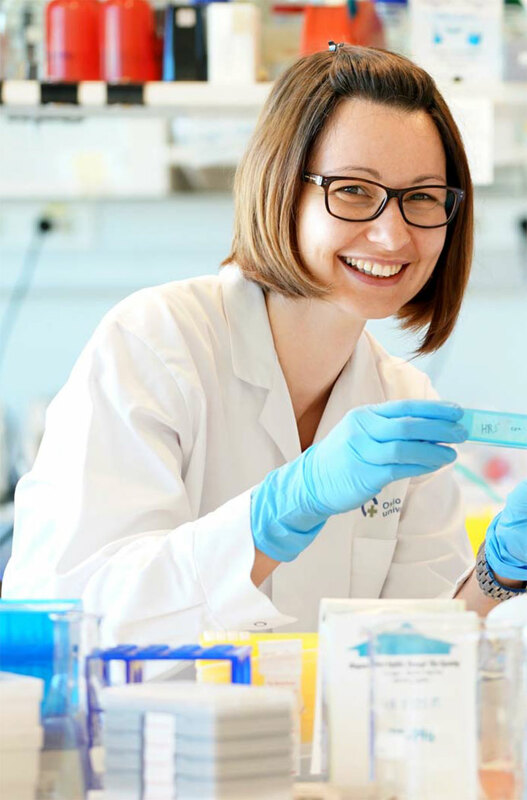 In a recent paper in EMBO Journal, postdoc Maja Radulovic and her co-workers in Harald Stenmark's group reveal a novel mechanism that promotes cell survival, namely repair of damaged lysosomes. 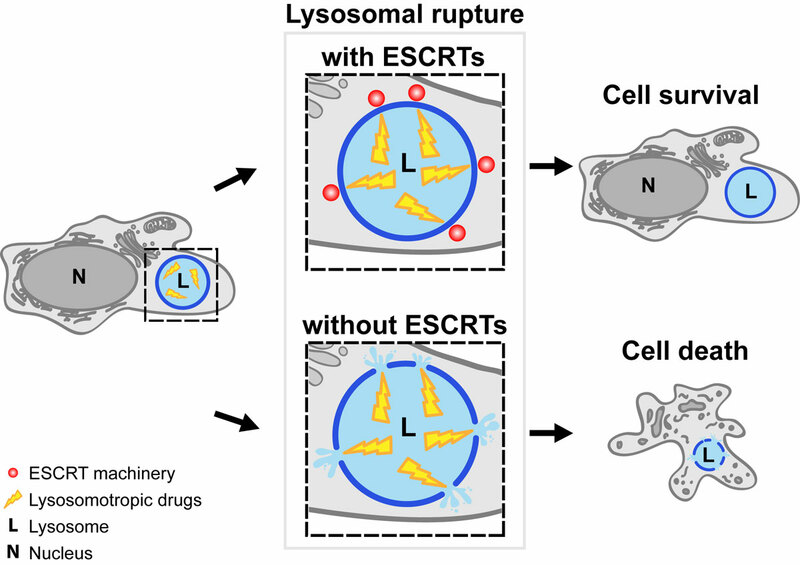 Now, postdoc Maja Radulovic and her co-workers in Stenmark's group have found that ESCRT proteins repair damaged lysosomes, and that this is essential for cell viability upon lysosomal damage. Compounds that selectively damage lysosomes of cancer cells are in clinical trials as cancer drugs, and the newly discovered mechanism may provide us with tools to increase the efficacy of such drugs. In collaboration with Frank Lafont's group at the Pasteur Institute of Lille, Radulovic and co-workers also found that Coxiella burnetii, an intracellular pathogen that replicates within a lysosome-like vacuole, requires an intact ESCRT machinery for its efficient replication. This suggests that ESCRT-mediated repair of the vacuole membrane might also be targeted in therapy of certain bacterial infections. ESCRT-mediated lysosome repair precedes lysophagy and promotes cell survival. Radulovic M, Schink KO, Wenzel EM, Nähse V, Bongiovanni A, Lafont F, Stenmark H.
EMBO J. 2018 Oct 12. pii: e99753. doi: 10.15252/embj.201899753. The ESCRT machinery in endosomal sorting of ubiquitylated membrane proteins. Nature. 2009 Mar 26;458(7237):445-52. doi: 10.1038/nature07961. Review. Spastin and ESCRT-III coordinate mitotic spindle disassembly and nuclear envelope sealing. Vietri M, Schink KO, Campsteijn C, Wegner CS, Schultz SW, Christ L, Thoresen SB, Brech A, Raiborg C, Stenmark H.
Nature. 2015 Jun 11;522(7555):231-5. doi: 10.1038/nature14408. Epub 2015 Jun 3.